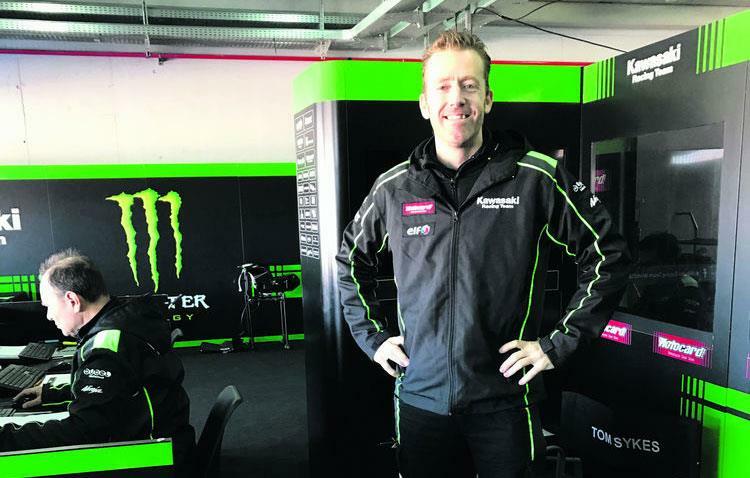 Top WSB crew chief talks about life in the fast and slow lane. I am too ashamed to tell you. Q2. Who do you admire? Q3. Your worst riding habit? Not riding my bike enough. Once the season starts I don’t get the time. It’s terrible. Q4. If you could have a riding super skill, what would it be? In general I’m way too slow, but I as long as you’re having fun it’s OK.
I’ve done 175mph on an old carburetted Blackbird on a German autobahn. It was ages ago and it scared me. Apart from the Blackbird in 2005, I lost the front under braking at a trackday at Zolder, but I didn’t crash. Q8. Highest mileage in a day? Q9. What irritates you on a bike? I’d love to go on a road trip in the USA and experience the same things that happened in the Wild Hogs movie. I’m a Dad now, so I think a little differently from a few years ago, so I’d say be wise and keep yourself alive. No, but on my first bike, a Honda Dominator 650, I stood on the seat when I was riding in with friends and one foot slipped off. I swerved all the way down the road, but I managed to stay on. It was stupid and I must have looked ridiculous. My leathers from 22 years ago, which I’m embarrassed to wear now, but I’ll keep them forever. Q14.Who would you invite on a Sunday blast? Tom Sykes, Iain MacPherson, my brother and father. The most important tool I have is the feedback from the rider. Q17. Which of your old bikes would you want back? Q18. What bike would you never buy? Q19. Which road or track would you have on your own island?